The Japanese culture, etiquette and beliefs have always been of interest to me. I admire how they place importance on family values and how children are raised to understand the significance of obedience, responsibility, humility and respect for elders. 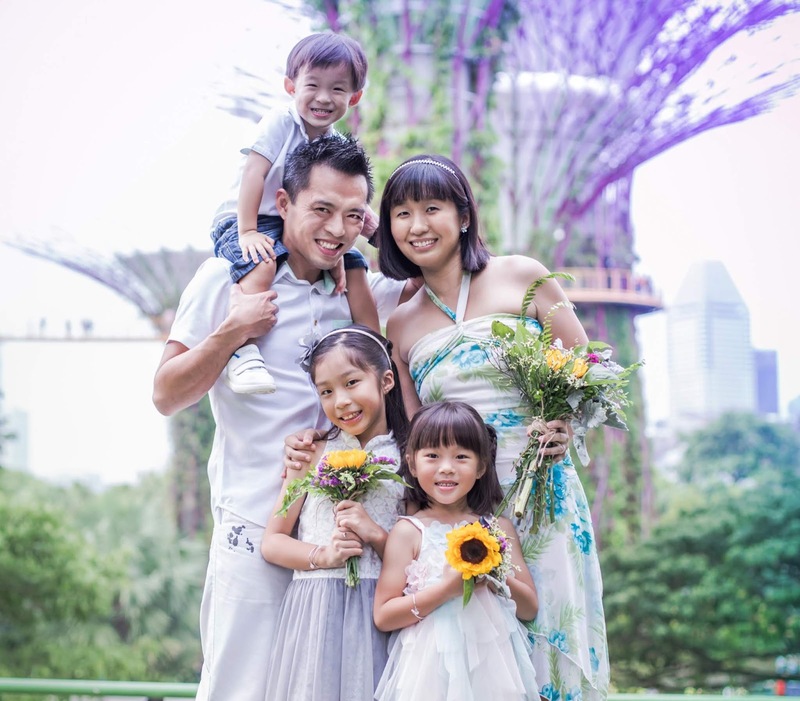 Unlike other cultures that emphasise on the “nuclear family”, Japanese embrace the “continuing family”. Even if an extended family does not live together, parents and grandparents should live in close proximity so they can carry over a bowl of hot soup. 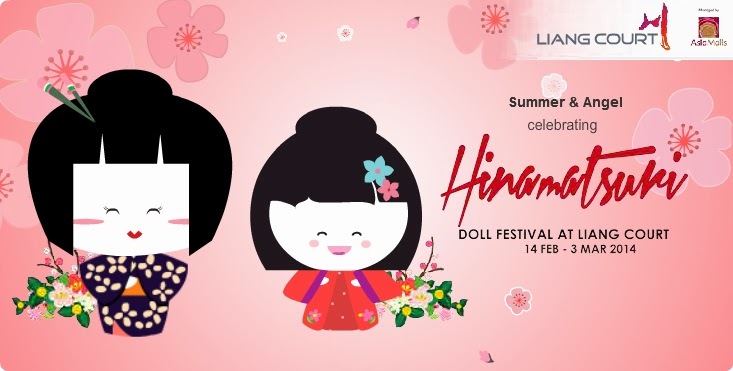 Today, I wish to share with you more about Hinamatsuri ("hina" meaning doll, "matsuri" meaning festival), which is the Japanese Dolls Festival celebrated on 3 March to pray for the health and happiness of girls. 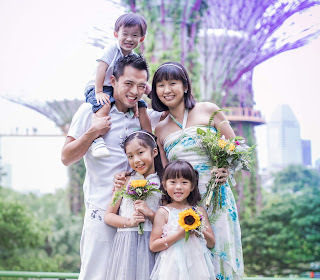 Coming from a mum of two daughters, this is a perfect time for me to strengthen my bond with the kids and wish for them the best in their lives. 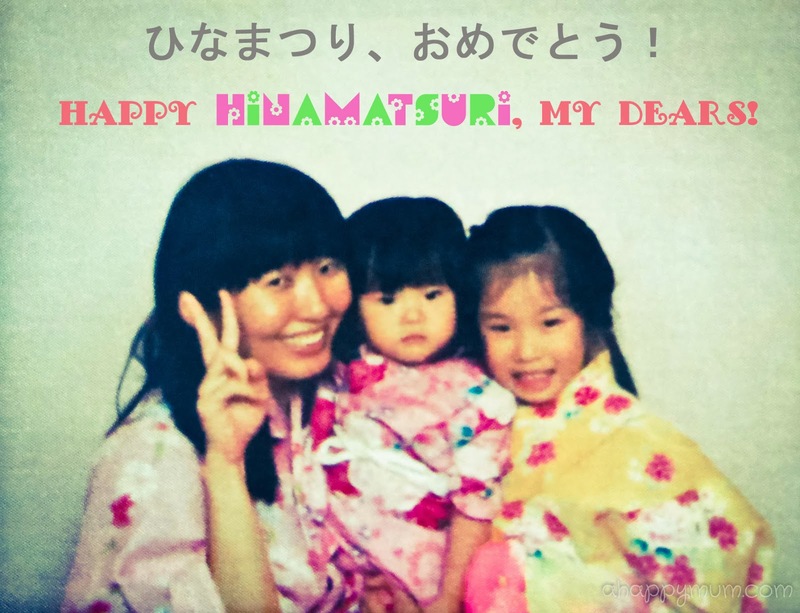 Hinamatsuri has a long history. The tradition started in the Heian ("peace and tranquillity") period in the Japanese history from 794 to 1185. Back then, Japanese believed that dolls could be alive and had bad spirits in them. 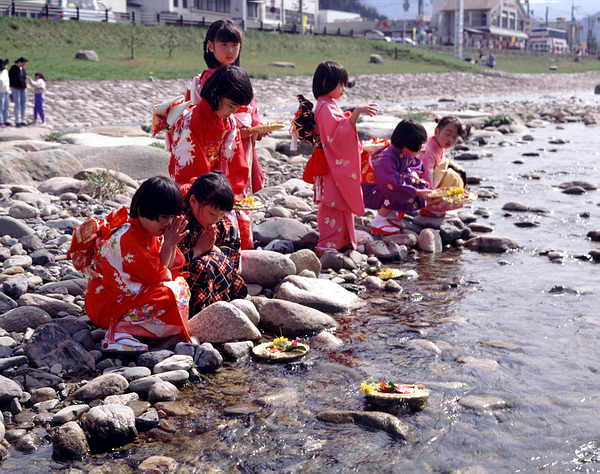 Roots of the Hinamatsuri can be found in an old tradition called "hina nagashi" or "doll floating" where people made straw hina dolls and set them floating down the river, believing that this would take away all their woes together with the bad spirits. 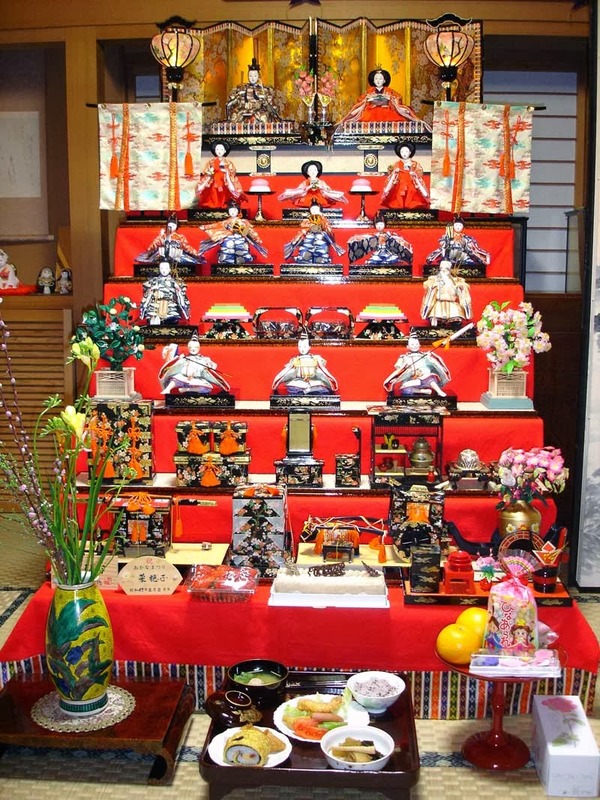 Families celebrate this festival by setting up Hina-ningyo, ornamental dolls on a beautiful display called Hina-kazari and dedicate peach blossoms to them. These dolls are dressed in costumes of the imperial court during the Heian period. 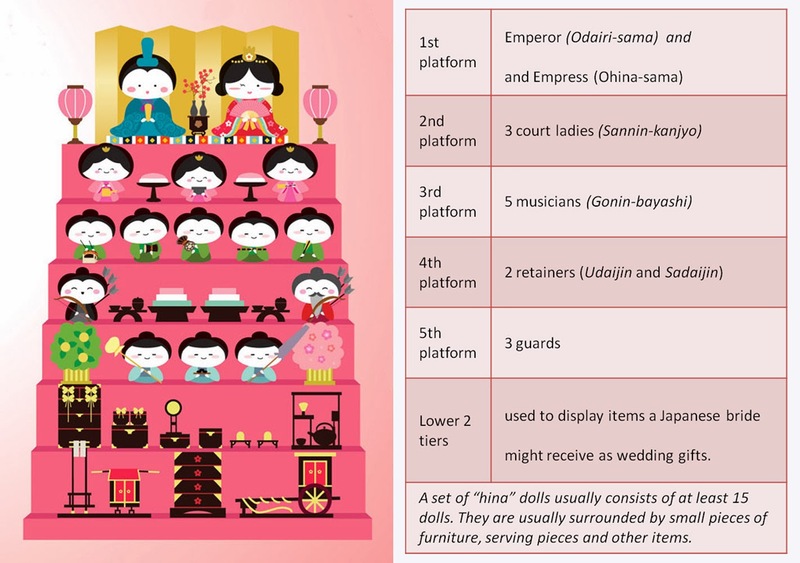 There are usually five or seven tiers, depending on which prefecture the Japanese is from, and each platform consists of different dolls with different meanings. There is a belief that if you don't put away the Hina-ningyo after 3 March, it will result in a late marriage for the daughter. 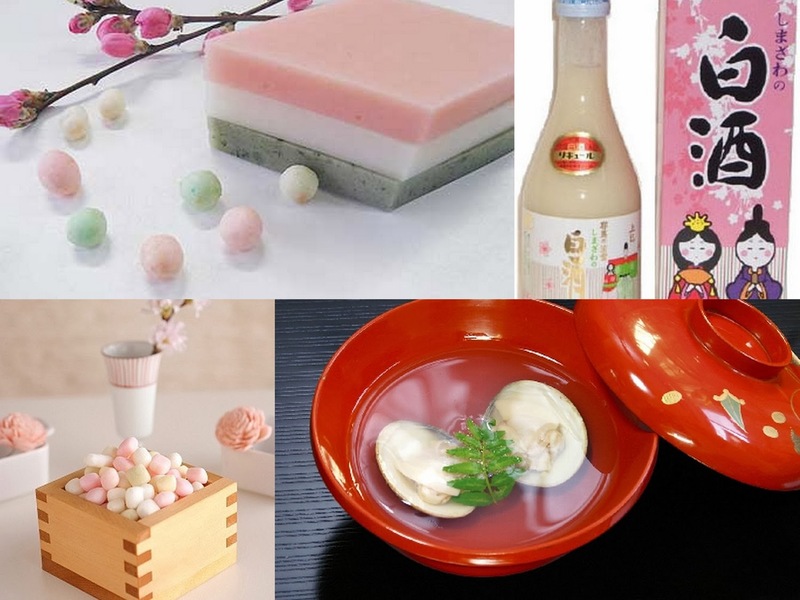 During Hinamatsuri, families will share a meal of ushiojiru (clear clam soup), shiro sake (white fermented rice wine), hishi-mochi (diamond shaped rice cakes) and also enjoy sweet treats called hina-arare. 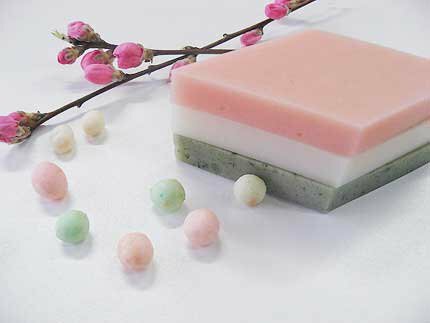 Hishi-mochi are coloured in pink (implies peach flowers), white (implies snow), and green (implies new growth). The way clam shells fit perfectly together, ushiojiru is the symbol of a united and ideal couple, and parents wish for their daughters to find a good match in life. 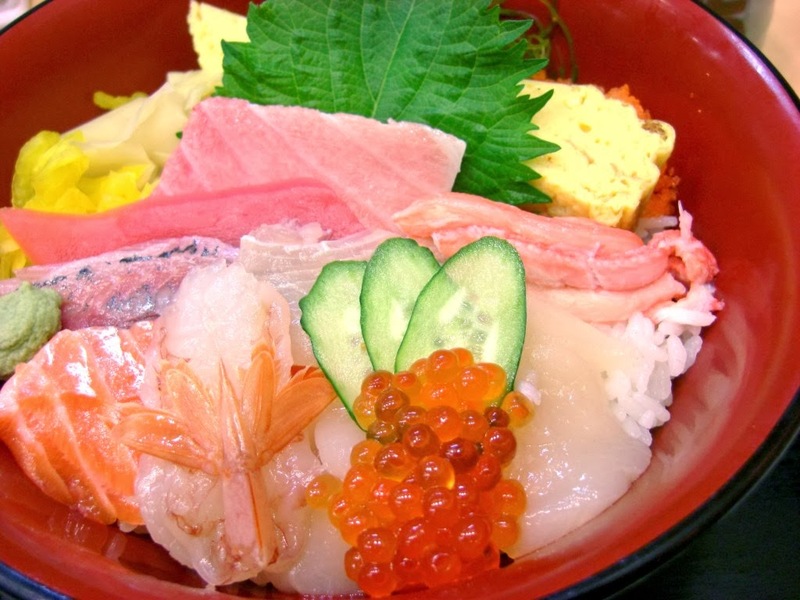 Chirashizushi, also known as scattered sushi, is also eaten during Hinamatsuri. It is a bowl of rice topped with a variety of sashimi or colorful garnishes mixed in a bowl. 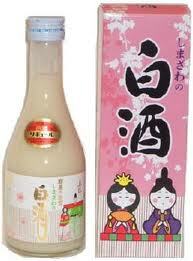 The hina-version of chirashizushi comes with pink toppings which symbolise good health and beauty. 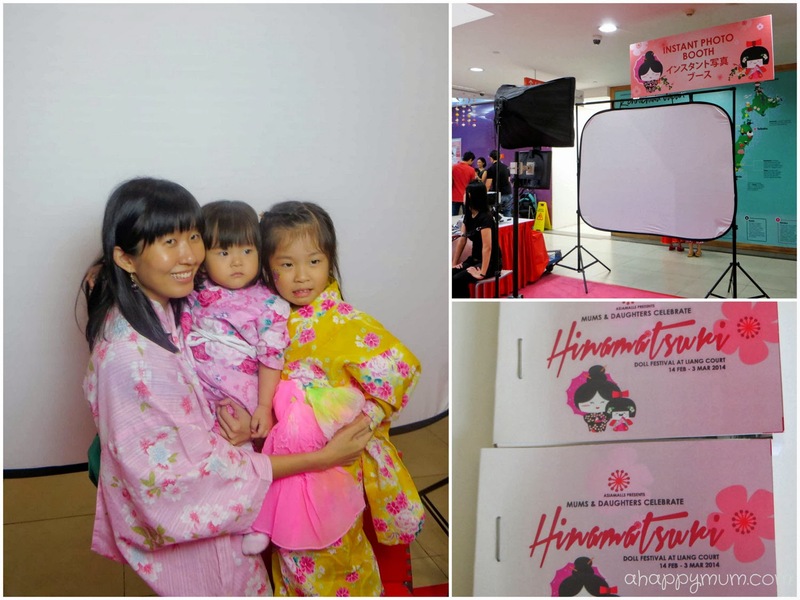 Now, isn't it awesome that we get to celebrate Hinamatsuri here in Singapore too? 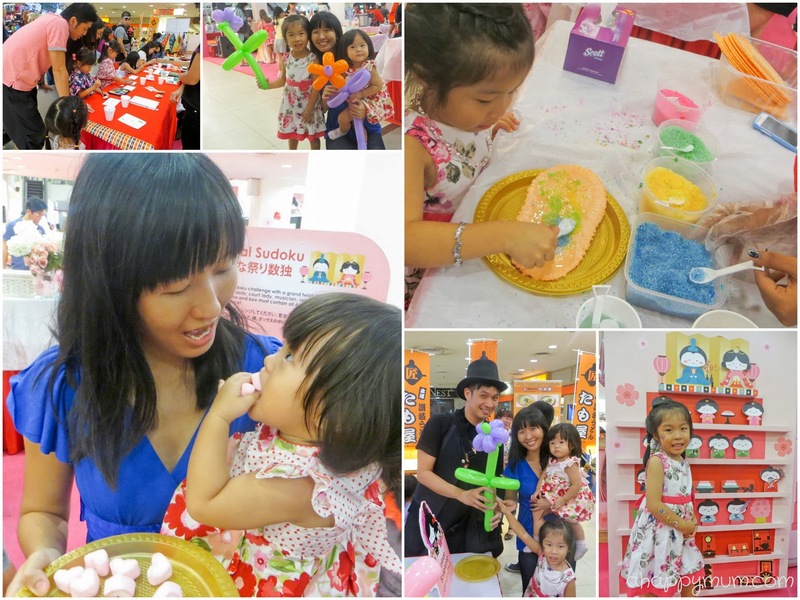 Thanks to Liang Court who hosted the All Girls' Party, we were invited to a Sunday afternoon of fun as we bonded, laughed and discovered more about their customs. This was a lovely Hina-kazari display and game where you could try to put the dolls in the correct tiers and positions. 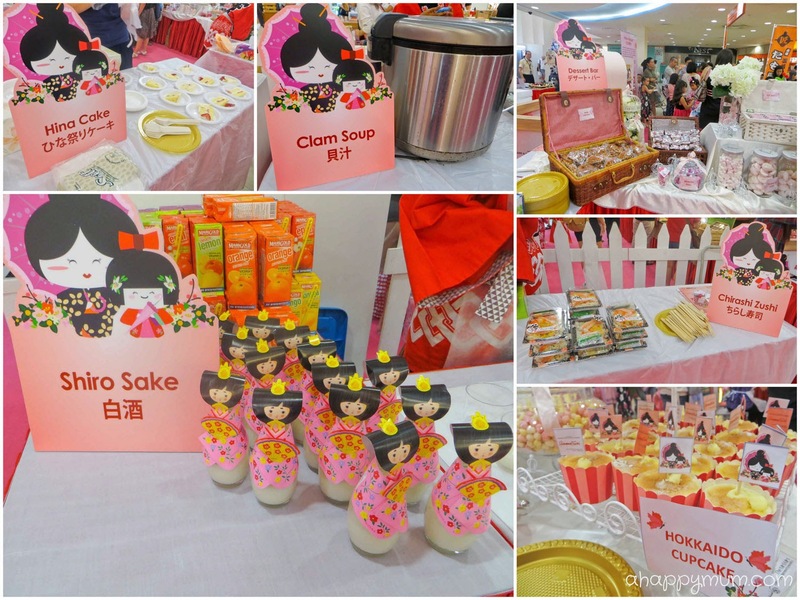 We were also treated to a range of traditional Japanese goodies including the hina cake, shiro sake, ushiojiru, hina-arare and chirashizushi. Though not a seafood lover, I actually liked the clam soup the most, possibly due to its meaningful symbolism. For the girls, they had an absolute favourite which beat the rest hands down - the addictive sweet treats hina-arare. There was also a live singing performance on stage by Merri and Yuki, who came all the way from Okinawa, and enthralled the audience with their catchy and melodious tunes. We especially loved their soothing rendition of the popular song Nada Sousou (涙そうそう) sang by singer Natsukawa Rimi (夏川りみ), which our local singer Joi Chua had sung the Chinese version titled 陪我看日出. Hello there! 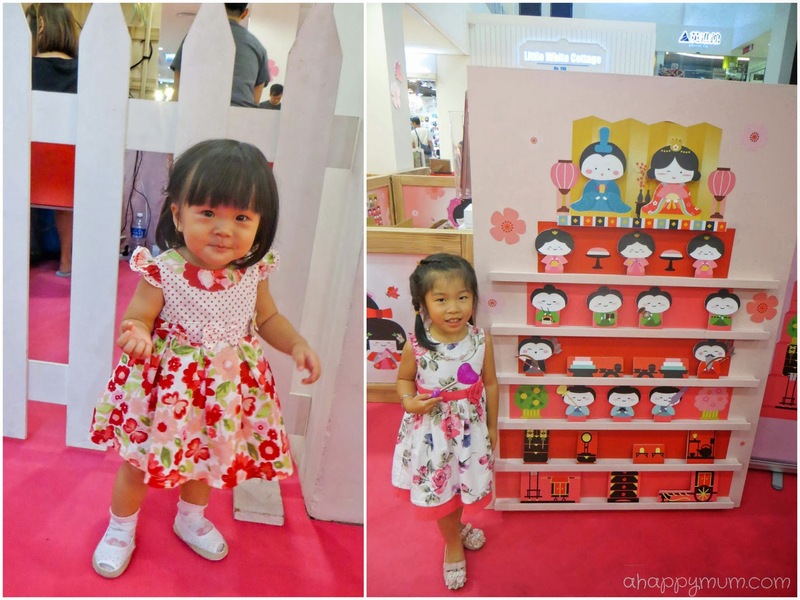 We might not have any traditional Japanese costumes but at least we put on our pretty dresses and best smiles! Many people had commented before that we looked a little Japanese, do you think so too? 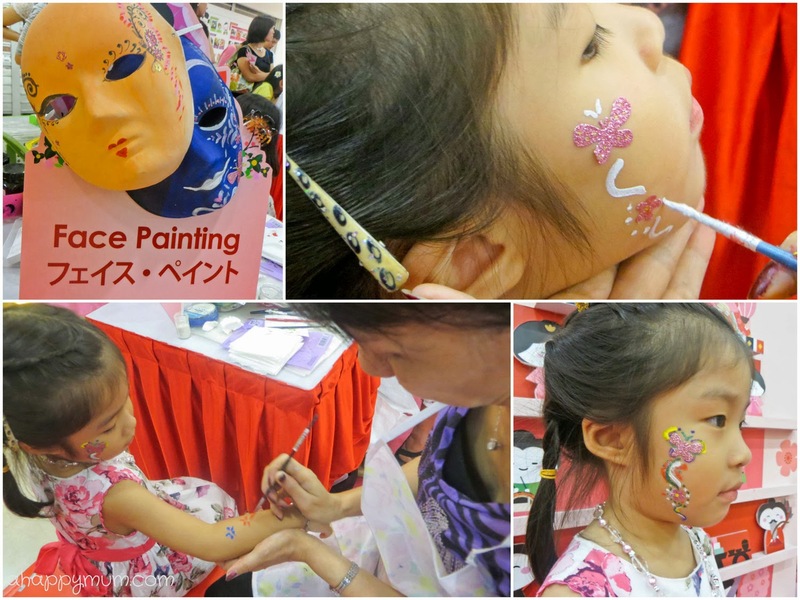 We had fun visiting the different booths and participating in the activities. Angel enjoyed decorating a huge piece of cracker with sugar syrup and lots of colourful, well, sugar. A little too sweet for our liking, but it was the process that mattered. For Ariel, it was obvious to see which booth she loved best, judging from the oohs and aahs she gave whenever we walked past it - Balloon Sculpting! She got a cute flower and held it like a gem, even when she fell asleep. For the big sister, she had a clear favourite too - Face Painting. This was the first booth we stopped at because she was so hoping to get it done before we did anything else. With just two artists at work and lots of ecstatic girls hoping to get a splash of colour, I stood and queued up for 45 minutes before we finally got our turn. Phew. Not for that beautiful butterfly on her face, but for that big, contented smile and the way she beamed and said "Thank you, Mummy", it was totally worth it. As for me, the activity that I loved most for the day was the Instant Photo Booth. All you had to do was strike different poses for a 7-second video and they would turn it into a cute flipping book with all the images captured. We even got to put on yukata (casual summer kimono) for the first time and I really loved how the girls look! The only biggest regret was that due to lack of time, we did not manage to take a family shot using our camera which was a total pity, but we did take home these beautiful and memorable flip books which I will treasure for a long time to come. All in all, it was a great day and awesome mother-daughter bonding time we had! To my precious darlings, Mummy wishes you a lifetime of joy and may you stay in the pink of health always! Disclosure: This is a sponsored conversation between Liang Court and A Happy Mum. All opinions are my own.